Almost 10 years ago, concerns over the safety of Long Island drinking water came into question. 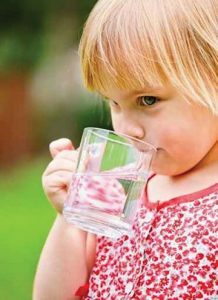 The water, which comes from underground sources, has long been subjected to pollution from pesticides, herbicides, industrial waste, chemicals leaching from plastic water bottles, and even home chemicals. A variety of tests on this water has revealed the presence of pollutants that can cause cancer, disrupt endocrine function, and cause a number of illnesses. Despite knowing of the presence of these harmful chemicals and pollutants and some efforts to clean up the water supply, concerns remain, forcing many residents of Long Island to resort to either using large amounts of bottled water or filters in their home. While there are many filtration systems that purify drinking and cooking water, not all systems are created equal. Most are filtration “quick-fix” products sold in box stores, hardware stores or online. Water is filtered but not purified. There is a big difference. “Filtration” means sediment and chlorine odor and taste are removed. A good start, but sediment and carbon filters simply cannot tackle the harshest contaminants, such as heavy metals, chlorine byproducts, volatile organic compounds (VOCs), bisphenol A (BPA) and trihalomethanes (THMs), among others. Some systems include an additional stage to purify water, usually reverse osmosis (RO). RO is great technology, but drinking RO water is simply not healthy. It’s like drinking “dead water,” devoid of essential minerals our bodies need. The optimal solution for our drinking and cooking water is a system that filters, purifies and then re-mineralizes. A standout in the industry is provided by a company called PUR2o. This company is comprised of water treatment professionals, working with wellness and integrative practitioners, nutritionists, etc., that have created a five-stage system providing pure, clean great-tasting and very healthy water. But its expertise does not stop there. PUR2o also offers whole-house water treatment systems to protect all those also wanting to avoid poisonous chemicals beating on their skin while they bathe, shower or wash their clothes. Experts at PUR2o advise each client individually as to what is contaminating his or her incoming water supply, installing the correct equipment to efficiently rectify any problem. They take into consideration several parameters, including whether the water comes from a municipal source or a private well, the number of family members in the home, and the plumbing infrastructure, in order to estimate water consumption and size up the necessary water-filtration equipment. It is important to keep in mind that PUR2o always addresses each chemical and organic contaminant with the most updated equipment available in the marketplace and will install it professionally, guaranteeing all of its workmanship and products. In addition to making your household water safe and healthier for you and your family, you can actually help be part of the solution to the Long Island water pollution problem by installing a drinking system to eliminate the usage of plastic bottles. While efforts are being made to clean up the Long Island drinking water supply, there is still a long way to go. Protecting yourself and your family with professional water treatment systems such as those provided by PUR2o simply makes sense. For more information regarding PUR2o, call 1-888-393-1828 or visit pur2o.com. See ad on page 26.